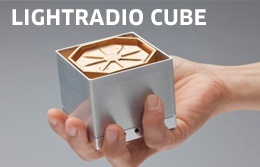 Finally, we can welcome a disruptive event in telecom industry –the arrival of a tiny two inch cube that threatens to topple thousands of tacky old telecom towers. The proud creators are Alcatel Lucent and Bell Labs. It’s a welcomed event, particularly since these little cubes can be cobbled together to create the right infrastructure and bandwidth at a shockingly enormous power and cost savings, according to Alcatel Lucent. This is one of the more disruptive trends that we’ve spotted for awhile in the telecom industry. First of all, carriers are wrestling with significant issues, such as having operated at low or below cost for many consecutive years. They’re now forced to make a profit while simultaneously upgrading networks to 3G-4G/LTE. Not to mention, standards globally are still shaking out, and networks are in various forms of evolutionary adoption from 2G to 4G via WiMax, Cellular, satellite, and everything in between. Furthermore, phone companies are staring down the dark abyss of some key trends, such as market saturation and must develop novel ways to increase growth, while maintaining enormous capital costs for upgrading technologies. Particularly in the U.S., baby boomers may be high tech but, like we told you ten years ago, older boomers are not necessarily taking advantage of all of the features. In fact, 80% of older boomers are only using 20% of the features. For cellular providers growth is always a bit of a good news/bad news story. The good news is that as mobile users make their mobile device their primary computing device, unlimited applications continue to grow. The bad news is that mobile providers, already in a state of price sensitivity, are constantly dealing with the proposition of diminishing returns. Alca-Lu’s adorable little cubes, if they work as planned, are a global market disruptor of gargantuan proportions. Not only do they offer a huge power savings as well as a configurable capability to extrapolate the right bandwidth configuration, but they offer the potential for a broad array of new business models. What business models you might ask? Let’s think creatively for a moment. Maybe the wireless companies should focus on customer service and let a business partner expand operations and pick up the more nominal capital costs of testing and deployment. In fact, in terms of creativity, we have a long ways to go in the telecom market. Doing away with those cumbersome, awful looking towers eliminates a range of problems including environmental issues, OSHA issues, property leasing, and some more complicated aspects of power supplies. Now let’s talk about disruptions to the rest of the market if these cute little cubes manage to take off. First of all, the tower market will be tripping over its guy wires to survive. Line of sight technologies might remain tethered to a tower for awhile until bandwidth, spectrum, handset, and meshed networks can be resolved in the public safety arena. Do you really want to haul a tower around the Grand Canyon when you could just drop a cube in your backpack? There are some definite winners and losers in this space if light radio takes off. Tower manufacturers and O&M providers could be the big losers in this disruptive swing unless they can adapt to other segments. Also, this raises an important question about the roles that carriers want to have in the longer term. In the U.S. market where Uncle Sam has been footing the bill for getting broadband out to the boonies, lower cost of ownership and ease of access might offer new franchising opportunities or opportunities for smaller companies to make more localized investments. As long as the carriers ultimately get subscribership and can guarantee quality of service, who cares?